Bezoekers van latin, salsa, bachata, kizomba, zouk, Brasil party's en event locaties schrijven over hun eigen ervaringen en geven hun persoonlijke meningen over deze party's, events en locaties! If you want to try a different ‘after work’ place for a Wednesday night, Boterwaag in Grote Markt(Den Haag) is the ultimate place to be! 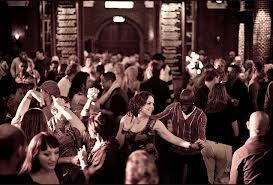 Salsa Nights take place at the Boterwaag, every Wednesday from around 21.30 until late hours in the morning…! Always with amazing DJs, the music makes you want to start moving even if you don’t know any steps. This place combines all levels of dancers, from very high level passionate dancers who brake their week in half with some salsa, to just everyday people who just went out for a drink, but ended up having the time of their life in the centre of Den Haag. Everyone dances till they drop, and the dance floor remains full even at late hours! 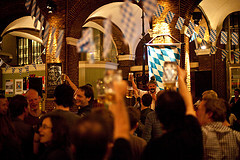 If you just want to have some drinks and a bit of dance, the best time to be at Boterwaag is around 09.00 pm. If, on the other hand, you belong to the “hard-core dancers” category, the best time to go is around 10.30 to 11.00 pm. In my opinion, it is one of the best places anyone could find to spend an amazing Wednesday night, and from now on…Wednesday is also a “Salsa day” in my calendar! Until next time…see you all in Boterwaag! In my opinion The Boterwaag is a venue to visit sometimes. If you would like to dance, the best time is between 10 and 10.45. After that time it's becoming too busy on the dancefloor. Around 11PM the whole Boterwaag is packed and that's to the right moment to leave. Thema Eenvoudig. Thema-afbeeldingen van caracterdesign. Mogelijk gemaakt door Blogger.